A gourmet treat using natural ingredients. The original unaltered nut natural or roasted to add crunch. Just the right touch of sesonings to add a zesty salty crunch. 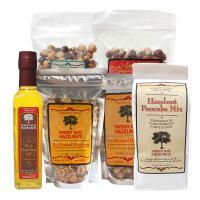 Try our specially selected Gift Packs. Perfect for any occasion! Hazelnut oil has a subtle, rich flavor that is unique among other oils but distinctly hazelnut. These mixes are ready to use in your kitchen! Fresh and healthy! 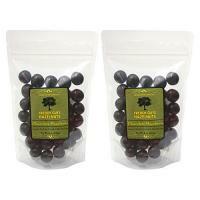 At Freddy Guys Hazelnuts, Quality hazelnuts are dry roasted and packaged in a variety of sizes. The most popular sizes and flavors are pictured.